Thus, as an aspiring new gastronome, I’m concerned about the origin of my food and its processing. However, I’m a city-dweller, and therefore, I don’t have direct contact with the farmers who create my food. This is a problem because Petrini specifically says that you cannot become a new gastronome by simply reading books, he says you must actually talk to farmers. So here I am thinking…I haven’t been to a farmer’s market all summer…how can I prevent myself from being a poseur? 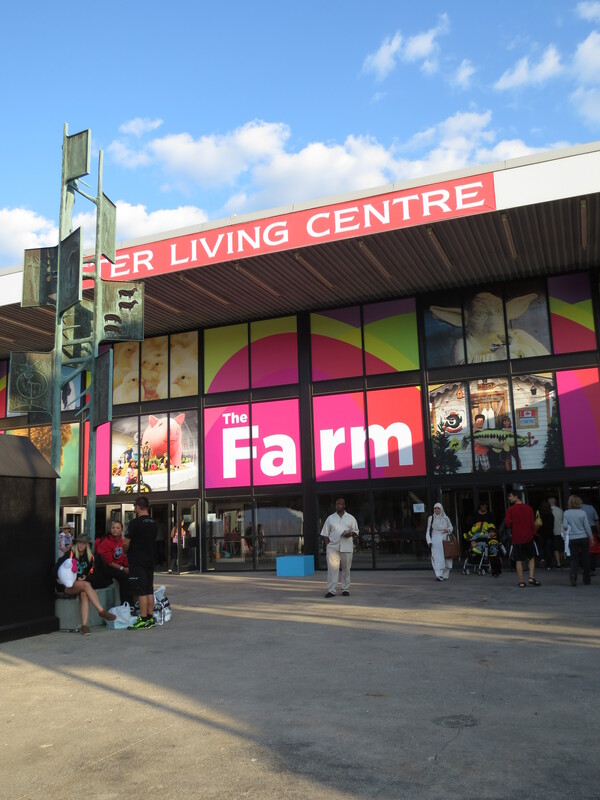 Then it hit me, despite the ever growing distance between food producers and food consumers, there is a place where rural food producers are brought right to the doorstep of urban food consumers…and that place is…the Canadian National Exhibition (aka the CNE, or the Ex). 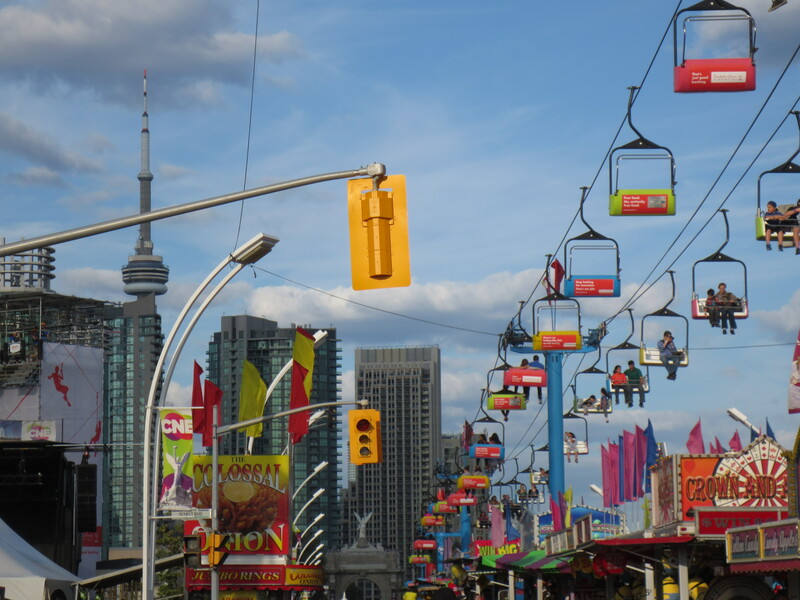 For readers who may not be familiar, the CNE is a 136 year old fair that takes place annually in Toronto. It has rides, games, food, exhibits, performances and in keeping with its agricultural roots, a Farm Building. 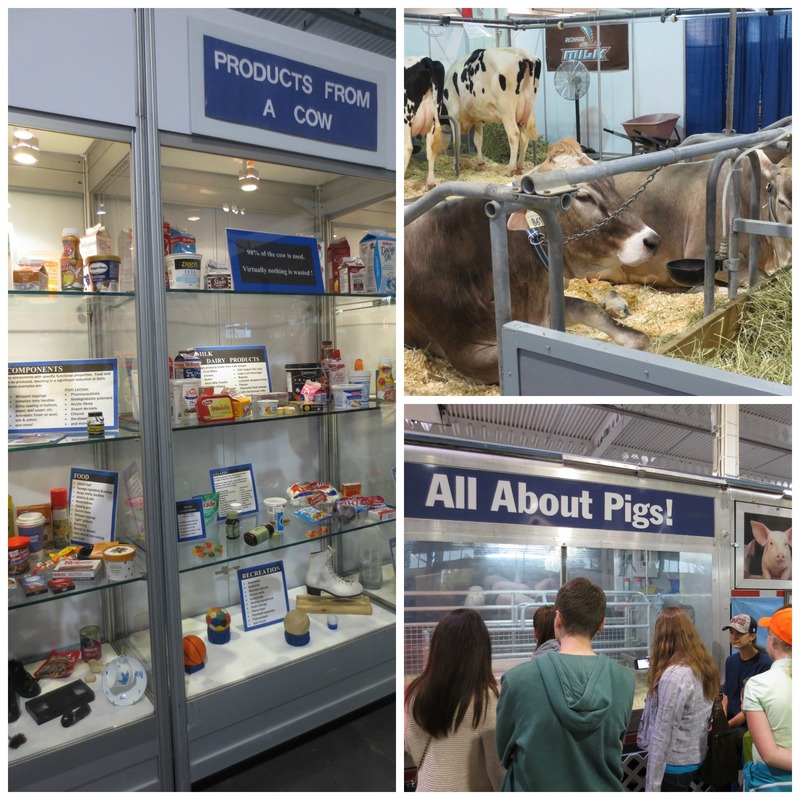 The Farm Building is a place where you can talk to farmers, learn about agriculture and see livestock. In many ways, the Farm Building does exactly what Carlo Petrini says we need to do; it connects food consumers and food producers. In an era filled with diet-related diseases, and children who think food grows on grocery stores shelves, this is incredibly important. 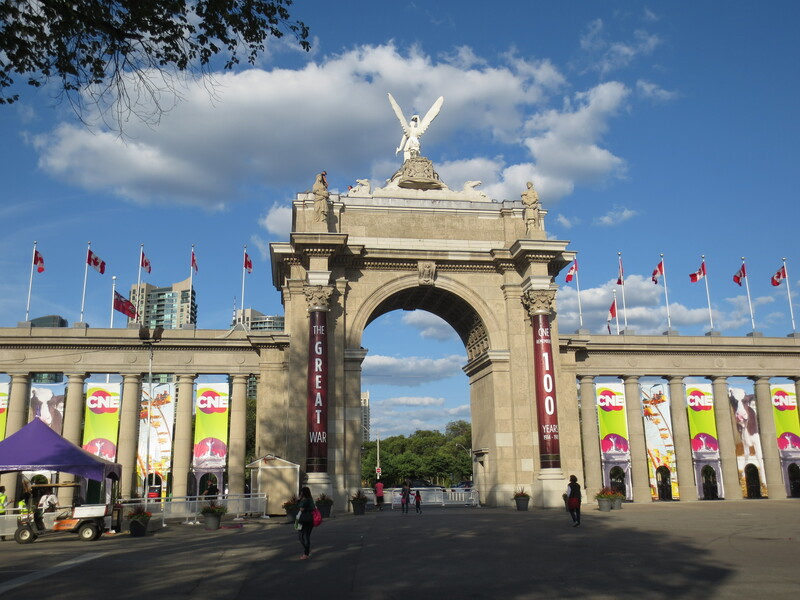 Therefore, while some may criticize the fair for being anachronistic, I would argue that the CNE, particularly its agricultural legacy, is as relevant today as it was 100 years ago, albeit for slightly different reasons. As a nutritionist, who is *slightly* obsessed with the CNE, people always ask me, “how does the CNE’s deep fried butter fit with your healthy eating philosophy?” And the truth is, it doesn’t, but there’s way more to the CNE than just the food; a trip to the CNE is an opportunity to get a gastronomic education, the kind you don’t get in school and can’t learn from books. And I’m not saying you shouldn’t indulge in their unique food offerings. As I always say, there’s a time and a place to treat yourself, and the CNE is a good time and place. So what are you waiting for? Let’s go to the Ex!